When we're not busy watching hilarious kitten videos on YouTube, often forgetting to go to work or eat in the process, we're always on the lookout for videos that capture the essence of Reston. We have our old favorites, and our new up-and-comers, but leave it to our favorite correspondent, the Peasant from Less Sought After South Reston, to find a triptych of videos that capture all the excitement of "living the dream" in Reston. Be prepared for action! To add insult to injury, these all show up on the first page of results when you enter "Reston, Virginia" as the search term. Somehow, it's even more hilarious that these videos are posted by someone whose log-in name is "worldtravelermsk". Is that 'world traveler' as in riding the Schindler elevator up and down at the Reston Town Center? And they dare call Herndon the place for the rich and single? Hah! Not a single elevator showed up on Herndon's YouTube list -- some swinging singles scene they have there! In conclusion, not since Krzysztof Kieslowski's Blue/White/Ted trilogy have we seen such a sweeping metaphor for the human condition, only in Reston, and on elevators, the end. Wow. I didn't even know there was such a hobby. Hi, this is worldtravelermsk, the elevator enthusiast that you decided to pick on in this blog entry. Before I attempt to defend myself, I just wanted to say that I was recently referenced to this blog and have, thus far, enjoyed reading the entries here. I am actually honored that you featured my elevator videos on an entry, even if it's in a rather unflattering light. Alright, I'll admit, I'm a bit embarrased. I'll also admit that my hobby is strange, but there's actually about 200 of us online spanning across North America, Europe and Asia. Contrary to your initial assesment of me, which honestly you're justified in making, I'm not insane. I'm actually a regular 23 year old guy with many "normal" hobbies; I like play drums/guituar, take photography, listen to music, go to concerts, travel, sample different foods, etc. However, like many other people out there, I have that one hobby that most everyone misunderstands. But hey, I get it - it's bizarre. You do bring up a good point: I'm honestly surprised that my measly videos are one of the first things that pop up in a YouTube search for Reston. For such a large community, I'd think there would be more videos that would at very least showcase the town center or the "outdoor meat market" at Jackson's on a Friday evening before my elevator videos. But if my videos are damaging to the community, I can delete them. Just let me know if that's the case. Actually I'll probably delete them anyway. Really, my elevators videos are strictly for fellow elevator enthusiasts and were not intended for prospective residents. It was not my intention to let the world know that an elevator enthusiast recently moved to Northern Virginia. Not at all. To clarify my screename (since "Peasant" decided to pick on that) was initially created with plans to focus the bulk of my videos on my travels, hence the "worldtraveler" aspect of it. I enjoy traveling, have traveled to many different countries and plan on traveling more. I honestly didn't really put much thought into the creation of my screename, so I understand Peasant's agurment. Honestly I had a good laugh reading this, even though I am pretty embarrased. I should probably be fuming at the ears but I mean no harm here. I can take the heat when its dished out at me. But I thought I'd just defend myself here for my own good, if anything at all. Thanks for reading my attempt at a rebuttal and again, no hard feelings. Happy blogging. That was a very gracious entry by you, and rest assured, neither the Esteemed Editor of this blog nor his humble correspondent The Peasant were aiming to skewer you. I think we both just found it interesting that, as you note, elevator videos rank so high on YouTube's list for Reston. Nothing to feel embarrassed about re your hobby; we've all heard of plane spotting and train spotting, but for most of us I think elevator spotting is a new one -- but hey, each to their own. 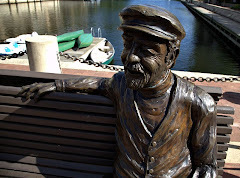 As I'm sure you've seen by now from reading this blog, Restonian like to put a satirical take on all things connected to our fair community, and this entry was directed more at our swinging town center than anything or anyone else. But again, thanks for being a good sport about it. Happy travels, even or especially of the vertical kind! Thank you very much for your kind response. I apologize for overreacting with embarrasment as I now see that there was nothing to really be embarrased about in the first place. I knew this blog had a sacrastic take on Reston but somehow, in the moment, I misinterpreted this post. But after reading your response, I now feel much better about my abnormal hobby and any embarrasment I had is now eradicated. If I get the time, I'll reupload the videos and continue to film the wonderful elevators in one of our beloved downtown areas. Also when I reupload, I'll provide links within an email to relink the videos. Again, thank you very much for your kind response. And more importantly, happy blogging!